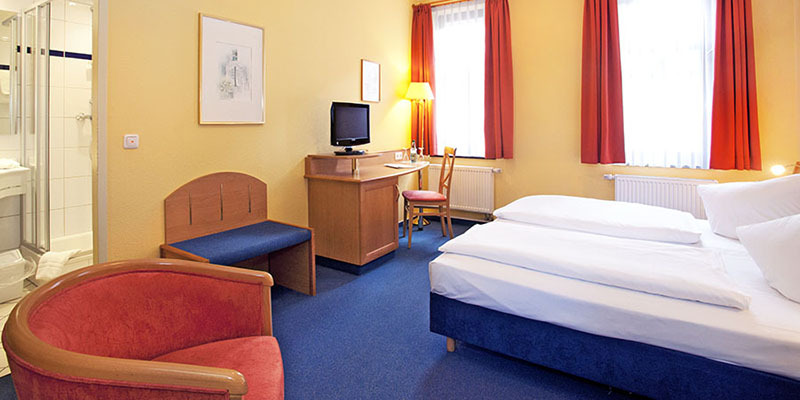 Our family-run Hotel, located in the middle of the historic centre of Weimar, is the best possible starting point for sightseeing tours in this famous city of creative delights. Our 53 rooms leave nothing to be desired in their harmonious composition of furnishings and colours, their timelessly Mediterranean ambience commemorating Goethe’s journey to Italy (September 1786 bis Mai 1788). 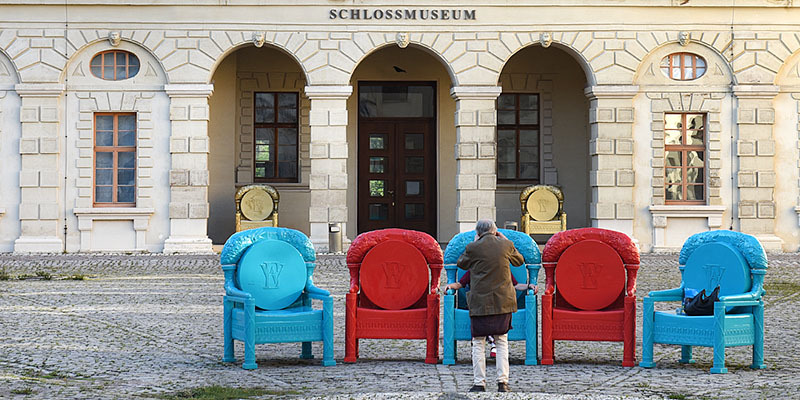 Why not take a break for a weekend by traveling to Weimar? Would you like to learn more about UNESCO World Heritage? Our plentiful breakfast buffet is the ideal start into a day filled with culture. 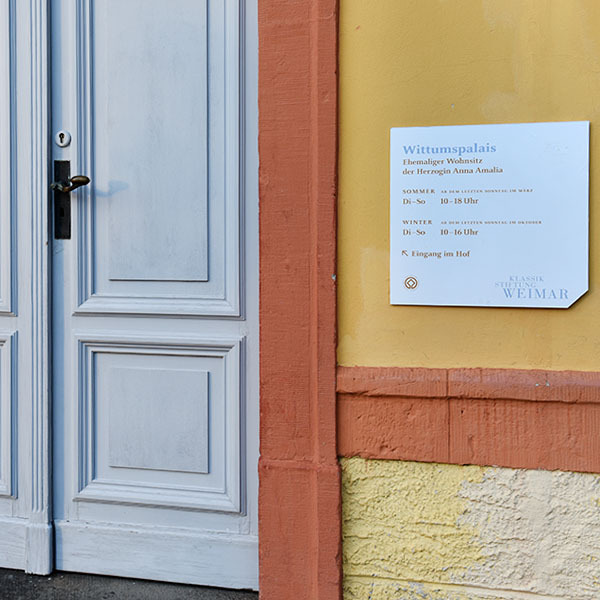 Should you require guidance on which of Weimar’s manifold historical sites to visit first, we will be glad to assist you at any time. 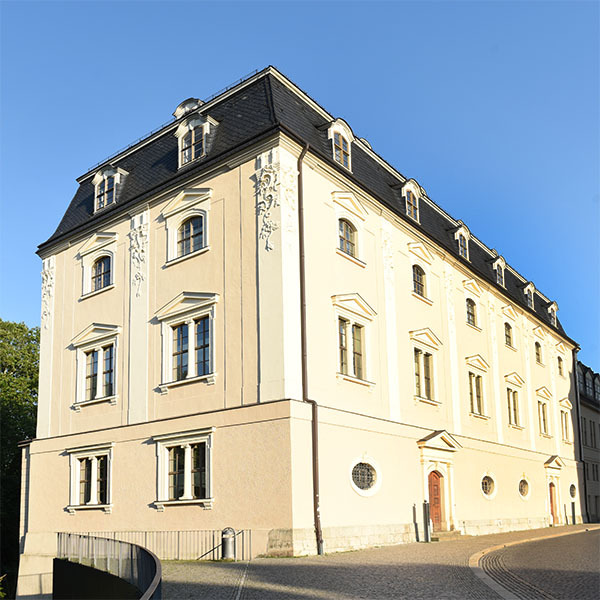 Find your Easter-Surprise 2019 in Weimar! from 19.04.2019 to 22.04.20198 you will enjoy Easter and Spring with us! Now: … let´s go in the spring! Our hotel follows a long-standing tradition. In 2002, following a construction period of one year, three formerly independently erected houses had been merged into a single complex. As much as possible of the historical structure was preserved. Noblesse oblige — Hotel Anna Amalia lives up to its noble patron. 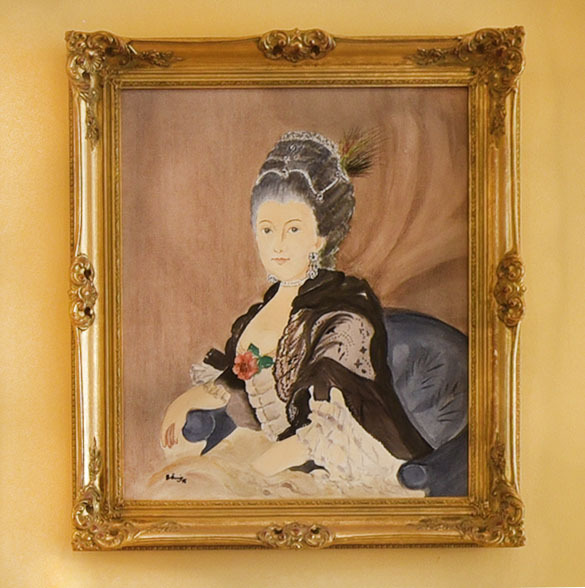 By calling to court Christoph Martin Wieland as the tutor to the Prince in 1772, and the assembly of the so-called “Round Table” in the Wittumspalais in 1776, Anna Amalia Duchess of Saxe-Weimar-Eisenach (1739 – 1807) initiated the classic period in Weimar. 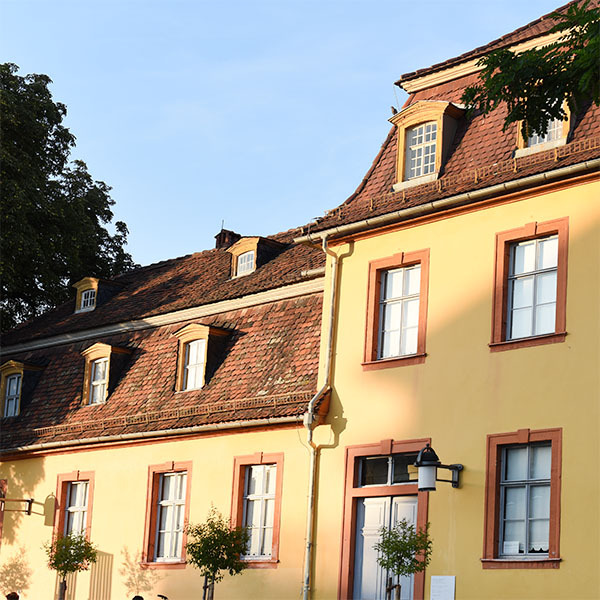 The hotel consists of three connected buildings in the Geleitstraße—the main building with its archway and two adjoining buildings. Just behind the Erfurter Tor (“Gate to Erfurt”), which was torn down in the early 19th century, the Geleitstraße leads as one of four main roads to the parish church. In 1775 Goethe first travelled down this road when arriving from Erfurt, to take up first residence at the church square. The garden of Duchess Anna Amalia spread from her residence, the Wittumspalais, left and right of the now removed town wall; almost reaching the hotel. The main building was erected in 1792, thus before the removal of the adjacent Erfurter Tor and after the arrival of Goethes. 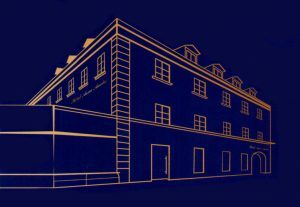 In 1880 the Hotel Cheminus was established in the main building No. 12, in which 1912 the authors Franz Kafka and Max Brod roomed together. Houce No. 10 was inhabited by the composer Peter Cornelius (1824 – 1874), who had been among Franz Liszt’s circle of friends since 1852. In 1858 his opera “The Barber of Baghdad”—one of the best German comic operas—fell victim to a collusion between theatres, targeting Liszt. 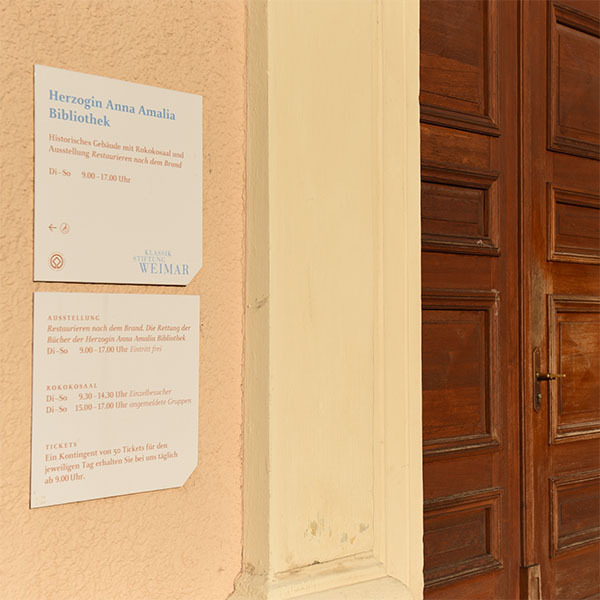 With its renovation in 2002, Hotel Anna Amalia devoted its heart to the many guests of the city. 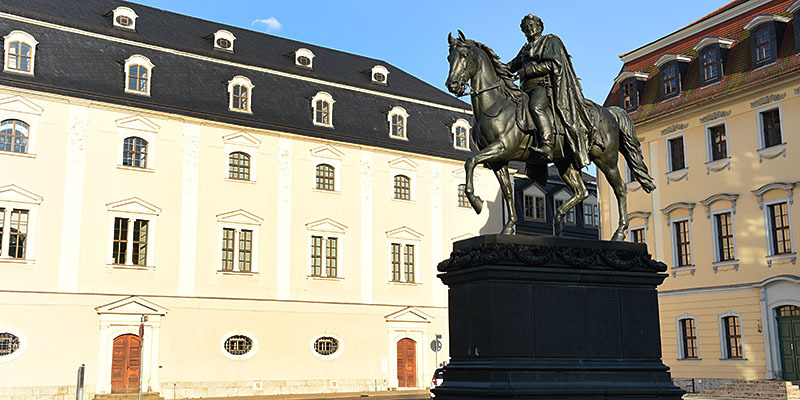 Explore the city from its centre, sample its plentiful histories unfold, and enjoy the abundance of personalities which worked and lived here—Lucas Cranach, Johann Sebastian Bach, Goethe and Schiller, Herder and Wieland, Anna Amalia und Carl August, Liszt and Cornelius, Henry van der Velde and Walter Gropius, and many more.